Have Unwanted Fine Jewelry and Vintage Costume Jewelry? Looking for a fun way to get together with friends and make money? 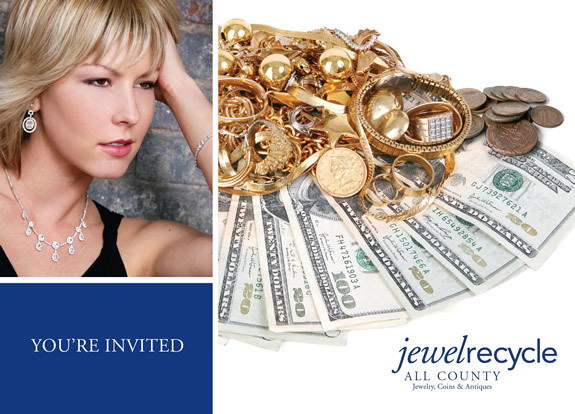 All County offers JewelRecycle parties where you and your friends can bring fine jewelry, antique costume jewelry and even broken gold and silver jewelry for appraisal and cash on the spot. You’ll also have the chance to browse hand-selected items from All County's jewelry collection.